This week, IBM announced the launch of Blockchain World Wire: a new global blockchain-based payments network. This near real-time blockchain-based network is based on distributed ledger technology (DLT) for regulated financial firms. Blockchain World Wire will introduce a new way for cross-border payments as well as global settlement (with settlements being processed in merely five to ten seconds). Blockchain Wire will also allow organizations to execute foreign exchange settlements. The advantage of a peer-to-peer (P2P) World Wire network is the removal of banking intermediaries. Instead, this new system will reduce fees and processing time by removing central banks from the entire process. This video, published this Tuesday by IDG TECHtalk, further discusses IBM’s Blockchain Wire, the future of blockchain technology as a whole, and what that means for users and global organizations. Facebook has collaborated with Start-Up Chile and inaugurated their new innovation center in Santiago, Chile on February 28, 2019. While Facebook does not yet have any Chilean offices, the company has chosen Santiago as the site of their new innovation center that will offer training, mentoring and workshops to over 600 Chilean entrepreneurs. Facebook already has similar innovation hubs in Argentina and Brazil, as well as in South Korea, France, and Nigeria. According to Megan Teepe, Rover’s VP and General Manager of International Business, this deal will help give the company visibility and further its goal of becoming the “global leader in the pet care space”. “We see this investment as a way to come and learn more about what it takes to operate in the Latin American market and to do that through the eyes of the current market leader in that geography”(GeekWire). This funding round led by Rover also includes participation from Mexican VC firm IGNIA Partners. 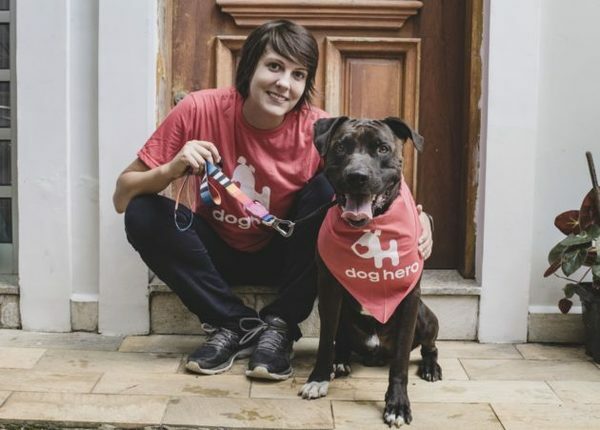 This new capital will allow DogHero to introduce their dog-walking service into more cities while growing its core business. According to Americas Market Intelligence report LatAm Payments: The Good, the Bad, and Ugly for 2019, intense competition and disruptive challenges are likely to be the key developments in LatAm payments sector this year. In 2019, we can expect increasing competition between the two main technologies for in-store payments: contactless cards and QR codes. Mobile payments with QR codes are also gaining traction in the region, as made evident through MercadoPago’s success. Meanwhile, the Mexican Central Bank’s plan for a new mobile payments platform looks to transform the country’s payments sector. However, competing technologies and increased use of mobile payments and marketplaces have potential downsides. 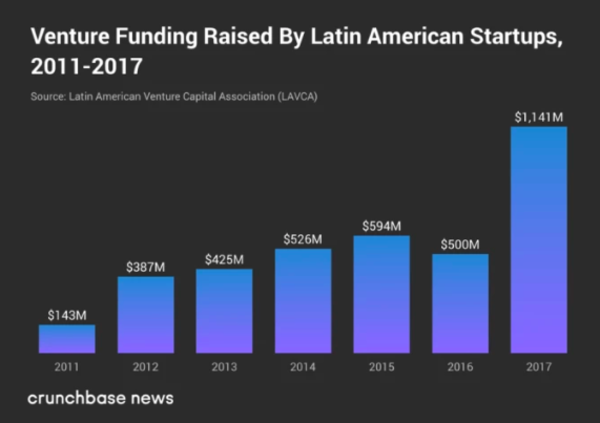 A report by The Latin American Venture Capital Association(LAVCA) shows that venture capital funding increased more than double in 2017, reaching $1.14 billion versus $500 million in 2016. In response to overwhelming success, Netflix boosts production in Mexico with 50 films and series. This recent production increase is substantial, considering that in 2017, only seven Netflix productions were made in Mexico. The company announced that it will be opening a new office in Mexico City, with its own content executives, and marketing and public relations teams. Netflix has already set up other international offices in Singapore, São Paolo and Tokyo.